Ian L. Kelley, a partner of the firm, represents businesses-in-formation, individuals, consultants and service providers, manufacturing and trading companies, transportation companies, private investment partnerships, real estate developers and investors, not-for-profit entities and government agencies. He is a commercial and transactional lawyer with a broad range of experience across industries, including technology, real estate, energy, international trade, alternative investments, professional services and the creative arts. Many of his clients are themselves entrepreneurs and benefit from the depth of Mr. Kelley’s experience representing entrepreneurs in a highly dynamic practice for the last 19 years. 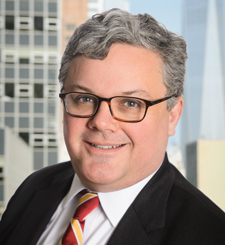 Ian is a former associate of Curtis, Mallet-Prevost, Colt & Mosle, LLP. He is a Board Member of the Citizens Union of New York, where he sits on the Executive Committee. He is also a founding Board Member of the Stuart K. Pertz Center for Urban Placemaking. In addition, Ian sits on the Coordinating Committee of the City Club of New York. Ian was also a founding Board Member of Brooklyn Boatworks and is an Advisory Board Member of Hudson River Community Sailing. Ian is a past President of the Board of the Atlantic Avenue Local Development Corporation and of the National Center for Creative Aging at George Washington University.